Piros Signs is nearing completion on the installation of the signs for Gander Mountain at it’s newest Chesterfield location. The newest Gander Mountain will be located in a new 60,000-square-foot store in the Chesterfield Blue Valley development, just south of St. Louis Premium Outlets, off I-64/US 40 at exit 14. 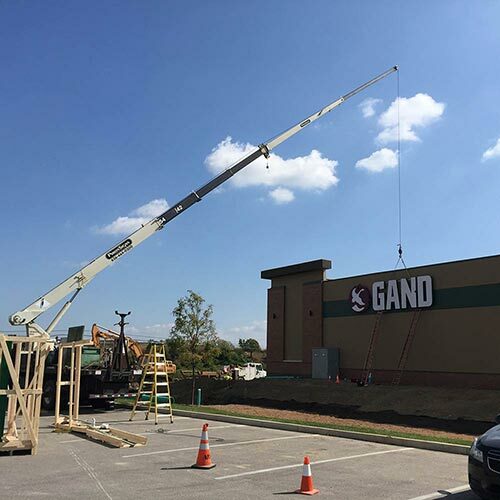 It will be the second Gander Mountain location in Missouri, and the third in metro St. Louis, joining an existing store in Fenton and a new store in O’Fallon, IL, which opened in late May. Now, before heading off to hike in the Ozarks, fish on the Mississippi or hunt deer in Macon County this fall, outdoors enthusiasts in metro St. Louis will have a new opportunity to find the widest selection, expert service and great prices on the best names in gear and apparel.